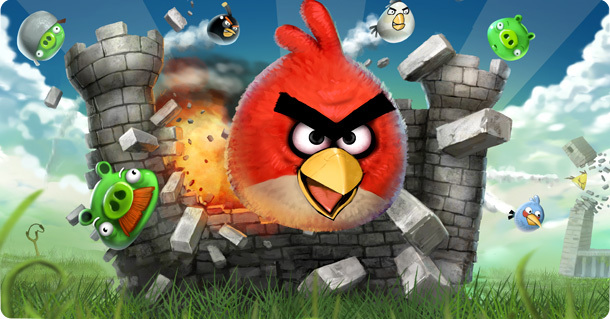 Rovio and Nokia are working hard to create an NFC-compatible version of Angry Birds, where a social part of the game combines real-life experience with digital game playing, which will be available at the Nokia Ovi Store during launch to support compatible devices, including the Nokia C7 and T-Mobile USA Nokia Astound. Near Field Communications (NFC) technology allows devices allows nearby devices with the chip embedded inside to interact with each other. While NFC receives most of the spotlight with mobile wallets and digital payment, where owners wave their NFC-supported devices in front of an NFC reader or scanner for payment, there are various uses for this somewhat new technology, and both companies are optimistic in showing it through social gameplay. However, the social functionality appears limited for the time being. Angry Birds Free with Magic, the name of the NFC version, comes with more levels, and players can unlock bonus or special levels by looking for another player with an NFC-capable phone. These two phones, when positioned physically adjacent from each other, can open those levels. Users without friends with NFC-capable phones need to look for specially tagged objects and wave their phones in front of it to access the extra levels. However, Nokia has not yet specified what these real world objects are, or where they are located. Francis is a voracious reader and prolific writer. His work appears on SocialBarrel.com and several other websites, covering social media, technology and other niches.